Mazda has achieved some great things with its engineering. Its SKYACTIV engines have boosted the brand to the most fuel-efficient automaker in the US for four years in a row, while the brand’s car designs have preserved the cars’ fun-to-drive mechanics, leading to a highly-acclaimed lineup of vehicles. However, the brand still appears to be working to improve its internal-combustion engines, improving fuel economy to satisfy future regulations (and also due to a certain reluctance to build electric vehicles). To continue to move upward, the brand will soon begin moving into a new generation of SKYACTIV technology, simply named SKYACTIV 2. Now, according to Japanese magazine Nikkei, it seems that one of the new things to come is a gasoline engine that, instead of using spark plugs, uses homogeneous charge compression ignition to ignite the fuel—basically what would result if you take a gas engine and a diesel engine and just sort of shove them together. In other words, like happens in a diesel engine, the new HCCI engine would just use the force of the compression in the cylinder to ignite the gasoline, resulting in an engine with 30% better fuel economy and reduced exhaust emissions. The engine is apparently to appear in the 2018 Mazda3, and Nikkei reports that this would boost the current Mazda3’s mileage to 30 km/liter, or about 70.5 mpg. 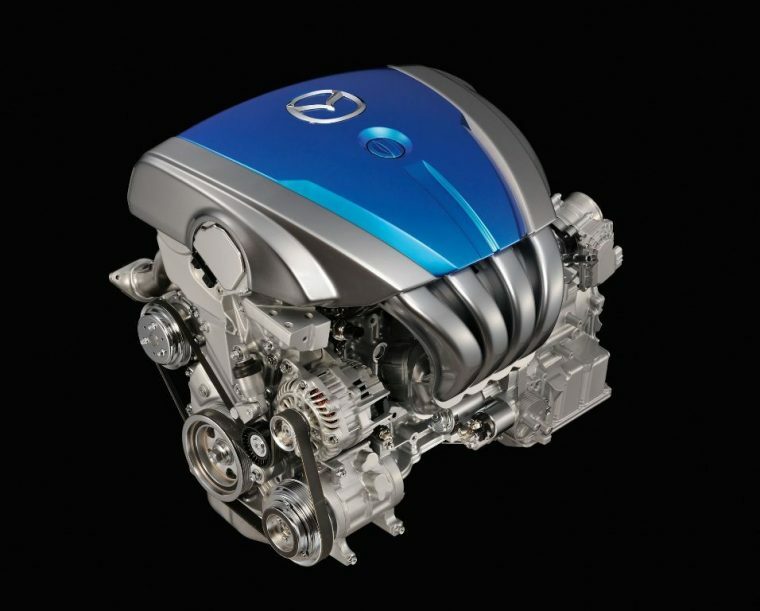 If the engine successfully deals with the associated problems with HCCI in a gasoline engine (Mazda hasn’t come out with any details on that point), then this would also be an engineering victory for Mazda over the likes of General Motors, Daimler, and Hyundai, who have all dabbled in the technology in the past, but abandoned the idea. This would agree with interviews that the company gave back in 2014 where the company claimed that it would satisfy emissions regulations in exactly this way, increasing the compression ratio to 18:1 and leading to a 30% improvement in efficiency.